Due to the state budget crisis and resulting cut back in hours, staff and programs, the following programs are offered at the State Park on a very limited basis, if at all. It is best to check with the office to see if these programs are currently available. Please call 951-780-6222. Docents are highly trained volunteers. Learn to lead an interpretive hike, provide school tours, greet park visitors, and answer questions. To become a volunteer and sign-up for docent training contact State Parks at 951-780-6222. Are you disappointed with gazing at exotic vegetation over our wild rolling hills? Then come to a Habitat Enhancement Workday. Join the Park’s ecologist and volunteers in native plant restoration, seed collection, transplanting, nursery tending, and other resource management activities. Meets seasonally at the Rolling M Ranch Barn. 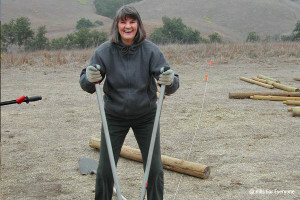 Join State Park rangers and volunteers in trail maintenance projects involving trail restoration, vegetation trimming, erosion control, and blocking undesignated trails. Projects will typically focus on maintaining the most popular single-track trails. This makes a great community service project for interested groups or students. Group Sponsorship is welcome. Workdays are scheduled in the cooler months of the year. Generally volunteers meet at the Rolling M Ranch Barn. Join the California State Parks Foundation Park Champions Program. 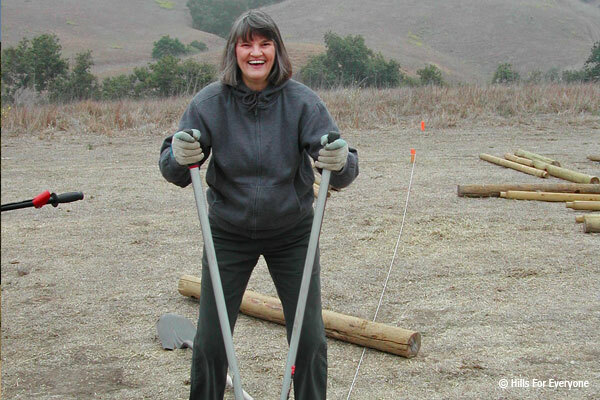 The Foundation’s Park Champions Program holds volunteer work days in state parks across California. This program was created in response to the unprecedented budget cuts that California State Parks face right now. In partnership with California State Parks, Park Champions provide consistent, sustainable volunteer support in the areas of park maintenance and beautification. Registration is required and events will be posted on our calendar. Have you ever want to hike the local hills but didn’t know how to get started? Have you looked up at the green hillsides in the spring and appreciated the pleasant backdrop that they provide in an increasingly crowded urban area? The Puente-Chino Hills Task Force (PCHTF), a group within the Sierra Club, organizes the hikes. The PCHTF is working towards the preservation of the Wildlife Corridor as a respite of beauty and biological significance in a sea of urbanization. The hikes should appeal to people who want to stay in shape, are eager to enjoy the outdoors, and want more information about their hills and wildlife. For more information visit: www.SaveTheWildlifeCorridor.org. We also publish their hikes on our calendar. The Puente-Chino Hills Wildlife Corridor is not just for animals – it’s for people too. As more properties are purchased and opened to public access, the recreational opportunities will improve. Our goal is to complete a continuous trail, the Wonderland Trail, across the entire Corridor from Whittier to the Santa Ana Mountains. This trail will be 31 miles long as the eagle flies, and a much greater distance on the ground. The Wonderland Trail will intersect the Santa Ana River Trail at the Riverside Freeway in Yorba Linda. 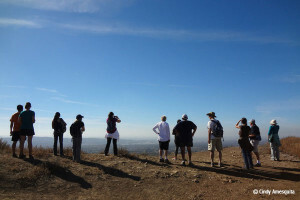 At that point, options will include a hike/bike eastward on the Santa Ana River Trail toward the San Bernardino Mountains, a hike/bike southwest on the same trail to the Pacific Ocean, or a hike into the Santa Ana Mountains which connects southward to San Diego County.